Nowhere is this truth more relevant than in the energy management and delivery industry. To be successful in a field as complicated, multi-faceted and important as this one, marketers must understand all the varying perspectives at play. Echo Factory, Inc. has a number of energy industry and efficiency clients. Our clients range from start-ups to nationally recognized brands, and we have provided marketing support, for many of them, from the infancy of their businesses, through acquisition and beyond. In positioning them for success and through our drive to build our own knowledge and understanding, we put a significant amount of time and effort into researching the energy management and delivery industry and understanding its dynamic and ever more powerful customer base. All of this research has resulted in a fairly comprehensive view of this industry and has even allowed us to contribute to the greater conversation in what we hope is a useful and meaningful way. 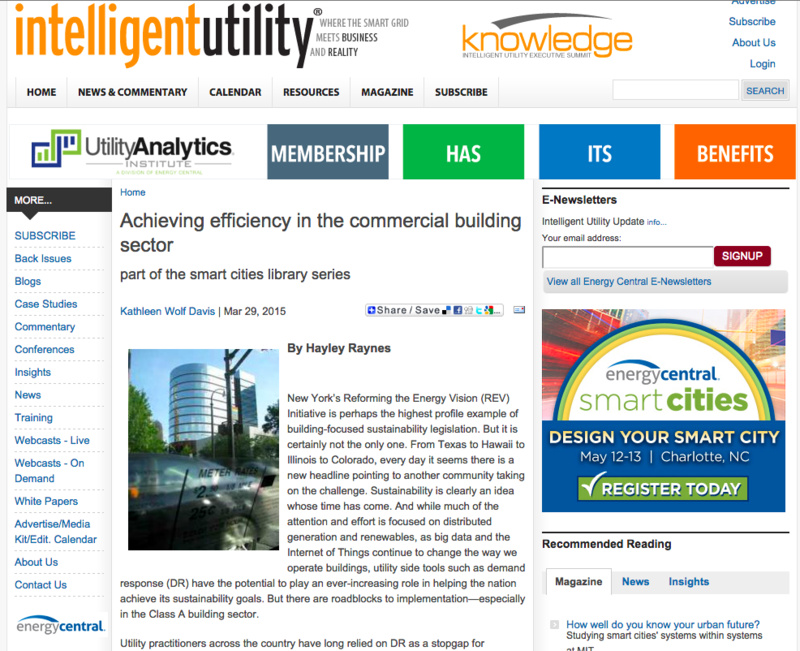 This week, Intelligent Utility, one of the industry’s leading sources of information regarding the current and future state of energy management, published an article authored by Echo Factory writer and brand strategist, Hayley Raynes. The article explores the potential for Class A building demand response implementation from the building operator’s perspective. 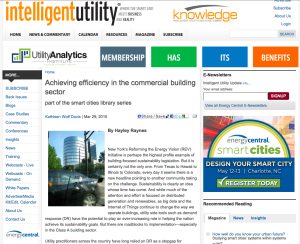 If you’re interested in having a look, you can access the article here: Achieving Efficiency in the Commercial Building Sector. We are grateful to the folks over at Intelligent Utility for giving us the opportunity to share what we’ve learned with the utility industry, and we look forward to seeing how this conversation will evolve. If you’re interested in seeing how our industry expertise helps position our clients for success, please visit our portfolio page.